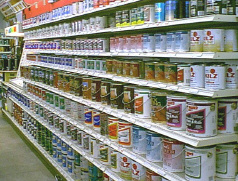 Do you have a paint project in your future? 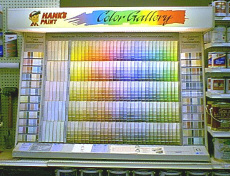 We have a wide variety of Hank's Paints and Cabot Stains to fit your needs and anything else you might need to finish the job. Brushes, rollers, drop cloths, you name it, we've got it. 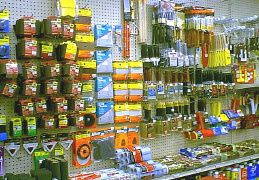 If we don't have something you need, we can get it for you. Chose any one of our thousands of different color possibilities. We'll mix it up in no time at all. Or bring us a color of your choice and we'll use our computer paint matching system.